Toyota's take on the mid-size, four-door pickup truck offers excellent people space, but doesn't really accommodate a conventional subwoofer solution. Our low-profile Stealthbox® design for the Double-Cab Tacoma utilizes two ten-inch, shallow-mount W1v2 subwoofers and tucks neatly behind the rear seat, where no one will see it, but where you and your passengers will definitely hear it and feel it. Now you have no excuse to roll with weak bass. 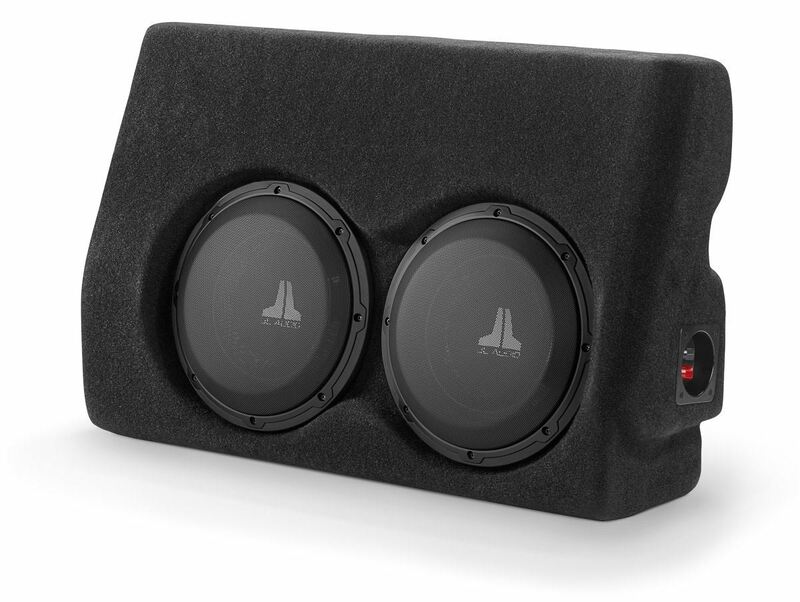 The Hard Data: Contains two 10W1v3-4 subwoofers in a sealed enclosure. 600 watt power handling. Wired for 2 ohm mono. Installs behind passenger-side rear seat. Black steel mesh woofer grilles are included. Requires permanent modifications to the plastic trim panels behind the rear seat and relocation of OEM amplifier, if vehicle is so equipped. Ability to use passenger side and center childseat anchors is lost with installation.